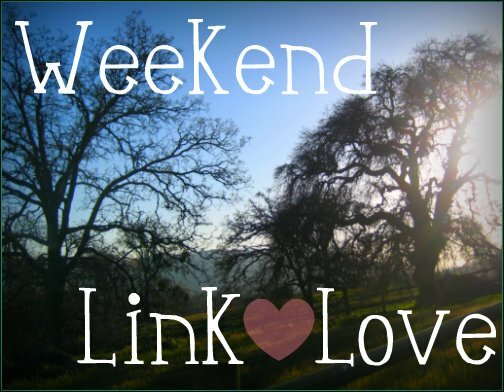 It’s been a while, Weekend Link Love. I’ve been gathering up some of my favorite links for the last few month(s) that I’ve skipped out on this feature. I don’t want to overwhelm the post, so I’ll have to split it up over the next few weekends. This Saturday we’re dropping off 3 out of 4 of the dogs at the Pet Lodge for boarding. I’m nervous. I’ve never boarded my dogs before, we’ve always had friends or family around to watch them. Since moving in February we’ve either had to make sure someone stayed home, or the dogs have had to tag along to where ever we’re going. Yikes. It’s always been sort of a hassle. I’m excited to see how it works out. It’s a good little trial run before the wedding while my dad, sister and I head to LA for part of the weekend. On Sunday morning we’re headed to the beach bright and early for our engagement photo shoot (finally) and it’s going to be an interesting one! We’ll obviously do the stereotypical, nice photos, but my awesome uncle came up with a fun idea for a Part 2: Zombie Invasion. Done. Deal. I’m super excited, we have about 15 people who say they’re coming to be zombies. I’ve promised doughnuts for all who come be apart of the shoot. Two words: Ikea Hackers. I’m obsessed. I can’t even link to my favorites because I will literally fill this entire post with genius-ness. I’ve become more “green” I’ve aged. Honestly, I was “green” before it was “in”. My dad has always been outdoorsy and all about recycling/helping the environment. Let’s just say he created a monster who refuses to waste anything. Dryer Sheets? I hate them because I feel like they’re a waste. At least now I have a list of ways to get a second use out of them from here. Our countdown to our 8 night honeymoon in Puerto Villarta has begun! Being a Vegetarian, I was a little concerned about what I could eat. This article over at about.com about Vegetarian Travel in Mexico has really helped! It not only gives me veggie dishes to try, but teaches phrases like “No como carne” (I don’t eat meat). NICE! Sarah over at Sweetest Nest is adorable. And thrifty! My kind of girl! I’ve been reading through her blog off and on for the last few days. My sister and I both came across this tutorial on how to rag roll your hair. We’re both super excited to see how it turns out with long hair like ours. Silly fact: I read it as “rag doll” not “rag roll” so I’ve just been calling it rag dolling ever since. Oopsie. DIY for a chalkboard banner that can be customized for each occasion. Sweet. Elsie’s 5 Tips on Photographing Your Home are great! I often try, get overwhelmed and give up. Typical. But with the new house, I’m definitely going to take photos regularly. I just love this story about an abused, starved, sick dog who got a week of knowing what it’s like to be loved before they ended her suffering. Beautiful. P.S. It only took me until 12:26am to give in and order a brand new iPhone 4S in White. Self control fail.